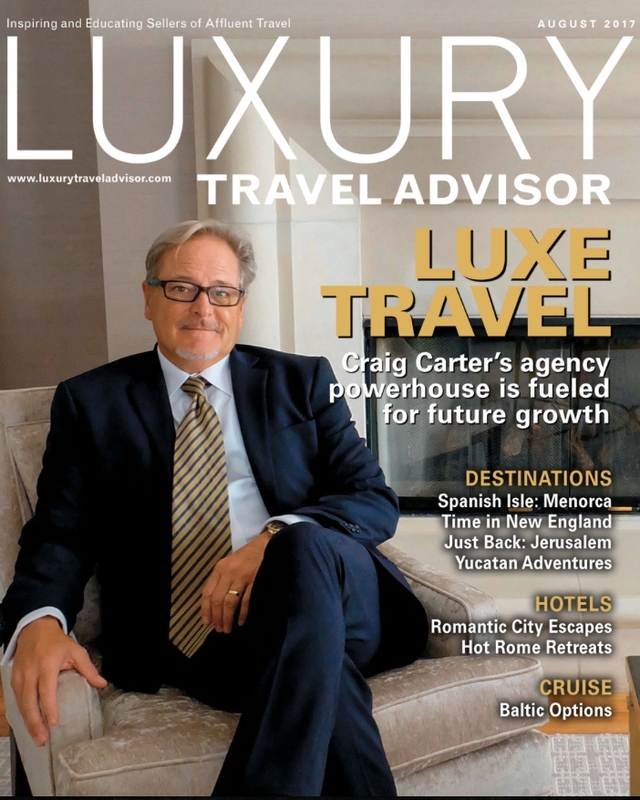 In 2008, a group of seasoned travel professionals came together under the leadership of Craig Carter, president and CEO, to create LUXE Travel. The formation of LUXE Travel was the result of a strong mutual commitment among these travel pros, who shared a vision of providing their customers with the best and most varied travel services available. LUXE Travel offers a complete range of travel services from corporate programs to worldwide leisure packages to meetings, groups, and incentive events. The LUXE Travel team includes 200+ highly experienced travel agents, as well as professionals from across the travel industry - airline, cruise, hotel, corporate travel managers, and meeting planners – with an average of 25+ years in the travel industry. With ten offices located in California, Florida, Texas and Illinois, plus our expansive network of home-based agents throughout the U.S., LUXE Travel continues to add locations. Whether your goal is to save on travel costs for your business, or plan the vacation of a lifetime, the LUXE Travel team of specialized professionals can exceed your expectations. Travel is our collective passion, and our goal is to ensure that your travel experience is the best it can be. We look forward to working with you! A group of well-seasoned travel professionals came together under the leadership of Craig Carter, president and CEO, to create LUXE Travel. The formation of LUXE Travel was the result of a strong mutual commitment among these travel “pros” who shared a vision of providing their customers with the best and most varied travel services available. The Four Seasons welcome LUXE Travel to The Four Seasons Preferred Partner program, an exclusive, invitation-only network of high-end travel consultants from around the world. LUXE Travel joins Signature Travel Network, the world’s premier leisure consortium group with over 6,000 travel professionals who share one objective: to serve the unique needs of discerning travelers. The combined $6 billion buying power is leveraged to deliver the best value to our clients. The Ritz-Carlton welcomes LUXE Travel to the Ritz- Carlton STARS Program. Only an elite group of agencies worldwide are selected to take part in The Ritz-Carlton STARS program. LUXE Travel is recognized as a member of the Classic Vacations Million Dollar Club, meaning LUXE Travel clients can expect incredible value and VIP treatment for their vacation. With the acquisition of Bruce Travel – Plantation, FL. and Boca Raton Travel & Cruises – Boca Raton, FL. LUXE Travel is able to expand its corporate and leisure business in the southeastern region of the United States. This award recognize suppliers and employees whose hard work and dedication have resulted in significant contributions to the corporation's Socio-Economic Business objectives and overall company goals. Northrop Grumman has conducted this recognition award program since 1990.